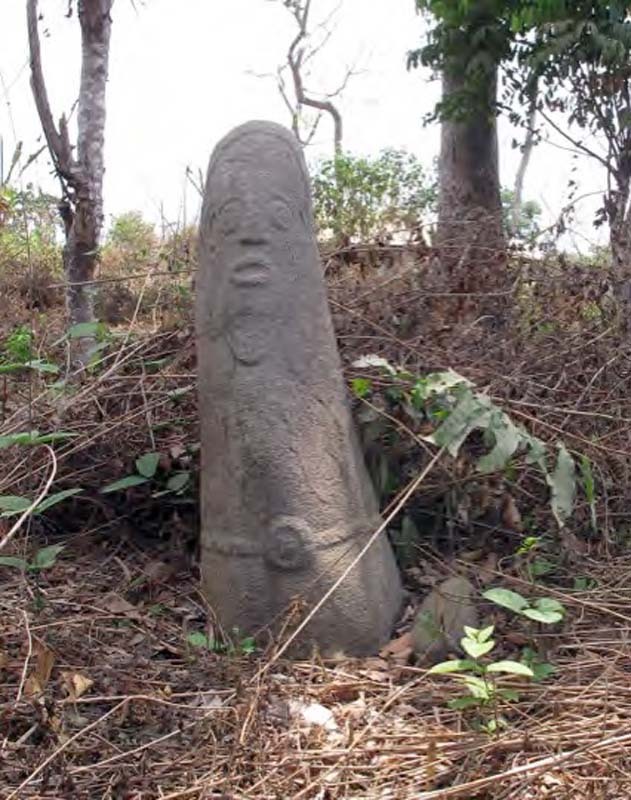 Cross River State in Nigeria is home to around 450 ancient carved monoliths, a distinctive feature of the region. Known as Akwanshi, the monoliths are dated to between 500 and 1,500 years old and are believed to mark ancient burial sites. Along with depictions of faces, each monolith has unique decoration patterns and inscriptions. But these monoliths are currently on the verge of total disappearance, prompting their inclusion in the World Monument Fund’s 100 Most Endangered Sites list in 2008. 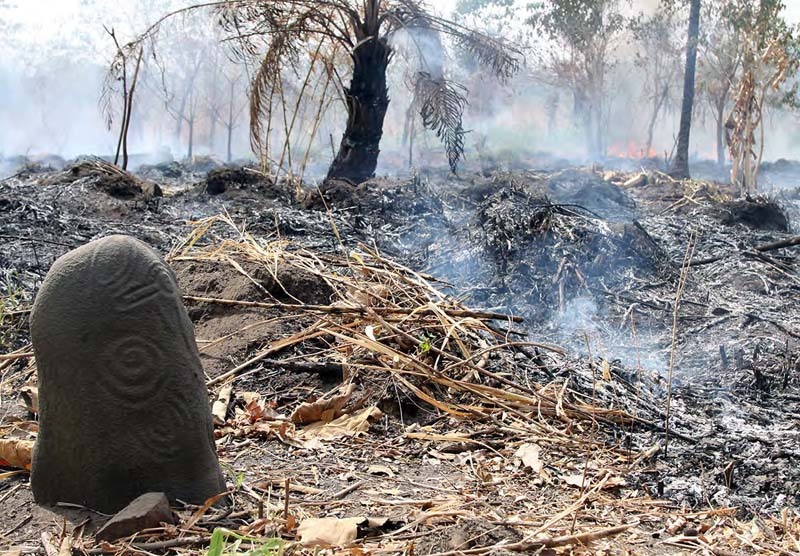 In recent years the number of monoliths has decreased dramatically because of theft, vandalism and destruction by cultivation fires, as Dr. Ivor Miller and Dr. Abu Edet of University of Calabar, Nigeria discovered in a survey conducted early this year. Unfortunately, many local communities do not recognise the value of this heritage, or associate it with “witchcraft” in light of current monotheistic religions. Most of the monoliths have been removed to be preserved and some community members are responding to the dramatic loss of Akwanshi and trying to fight it. For instance, elder teacher, Mr. Paulinus Ayambe from Njemetop village has found around 100 monoliths in the area, which in a very short time decreased to just six. Mr. Ayambe launched an initiative to relocate the remaining six monoliths to Njemetop village, and to fence them in, in order to preserve them. Such single efforts, while admirable, cannot the stem the tide of this huge loss, however. The National Commission for Museums and Monuments of Nigeria has also not been able to prevent the destruction of the monoliths. The only way to save this unique heritage is to appeal to the international community and garner broad-based local support to document and preserve the monoliths before they all disappear. TARA has always been interested in closer collaboration in heritage preservation projects in Nigeria, and the current situation might be the start of a new heritage emergency project.